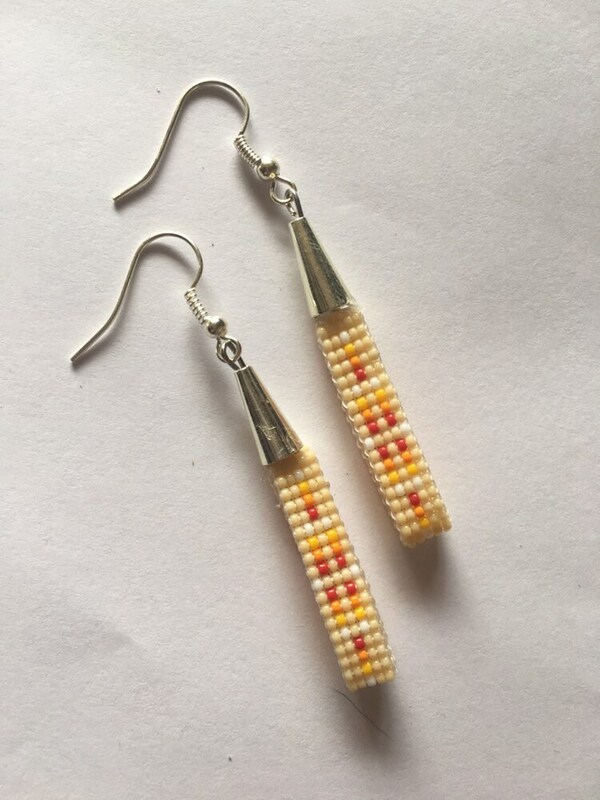 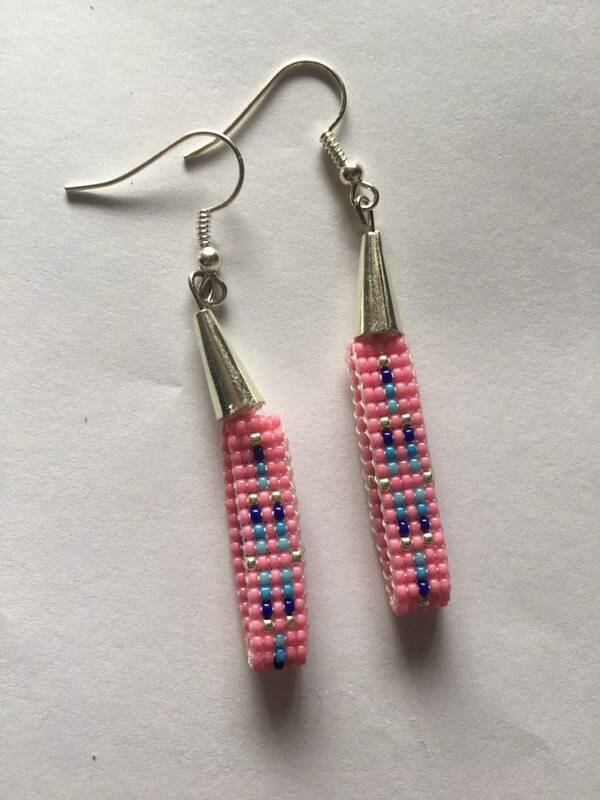 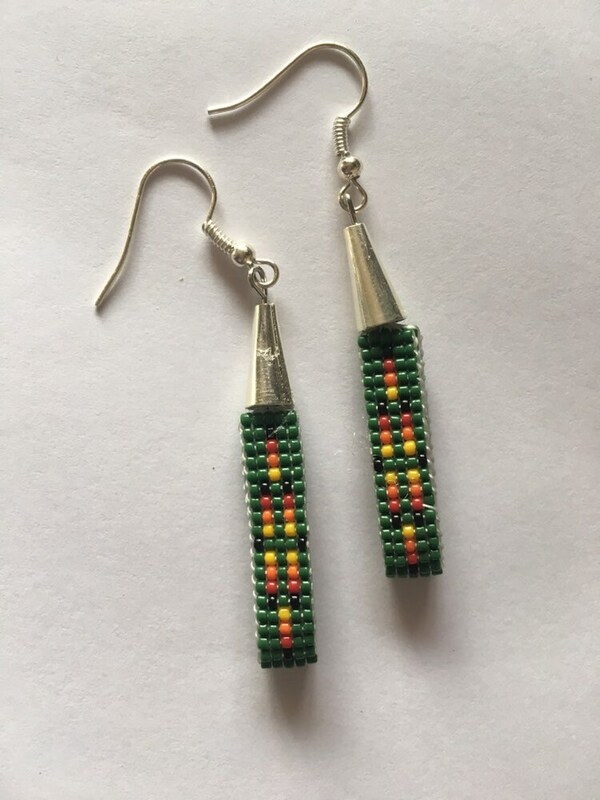 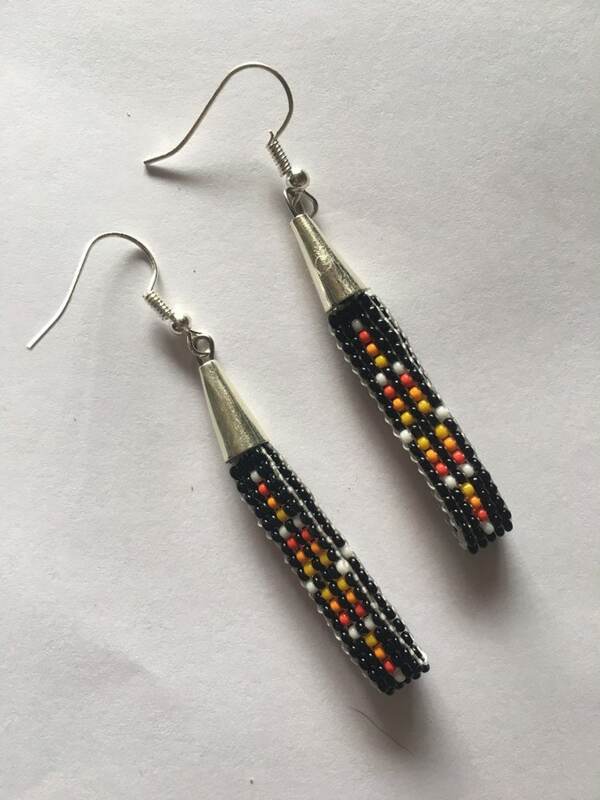 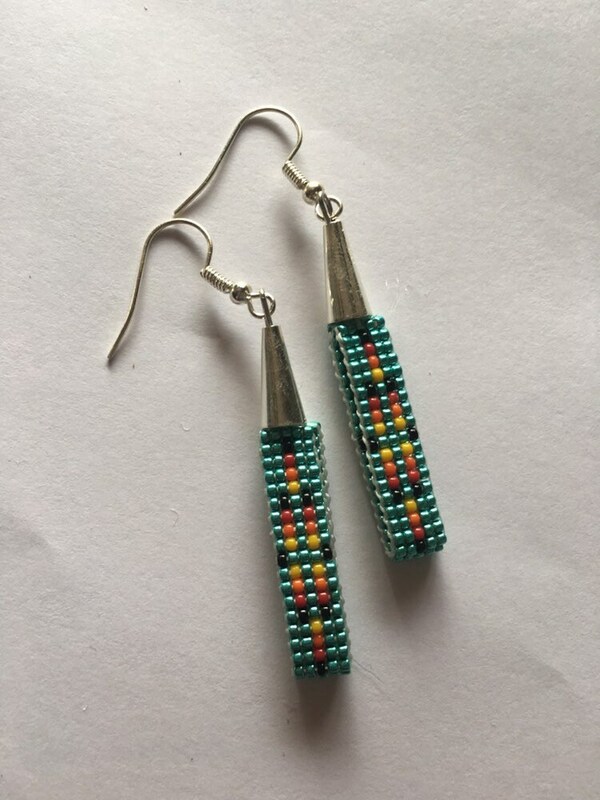 Lovely handcrafted beaded earrings created on a wooden loom. 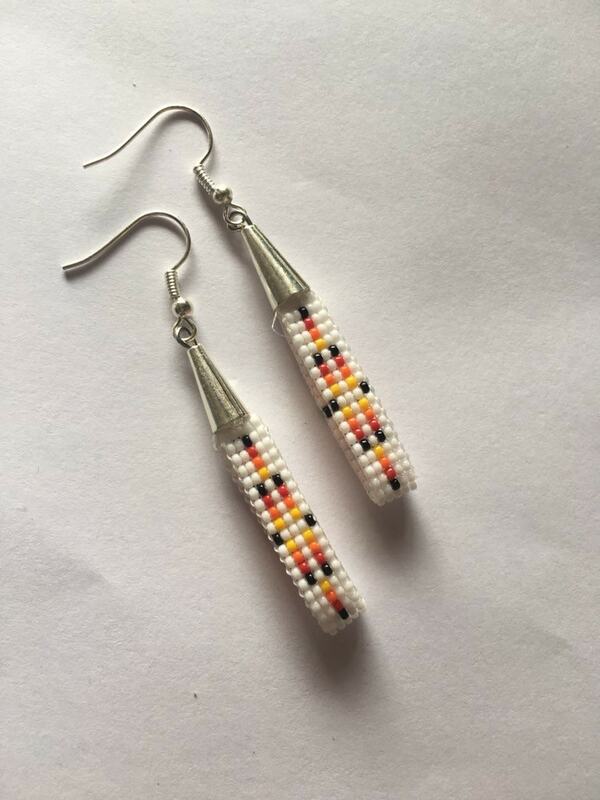 Available in multiple background colors with a simple 4 color design. 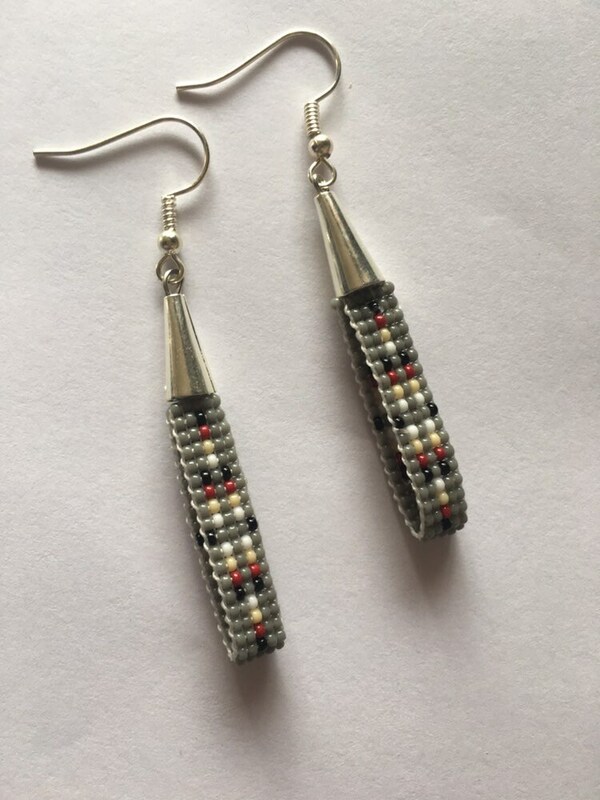 Approximately 1&1/2 inches long including silver tone cone. 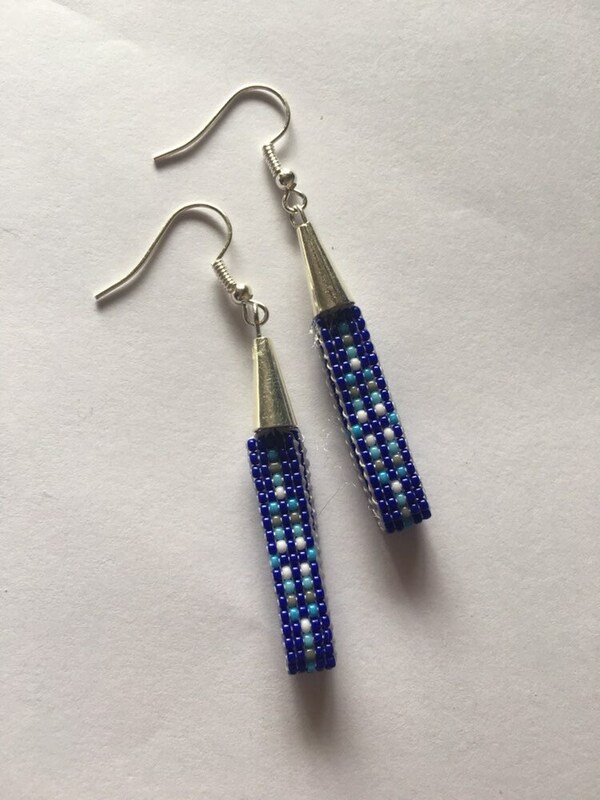 Order more than one item and receive shipping discount.